Gregory J. 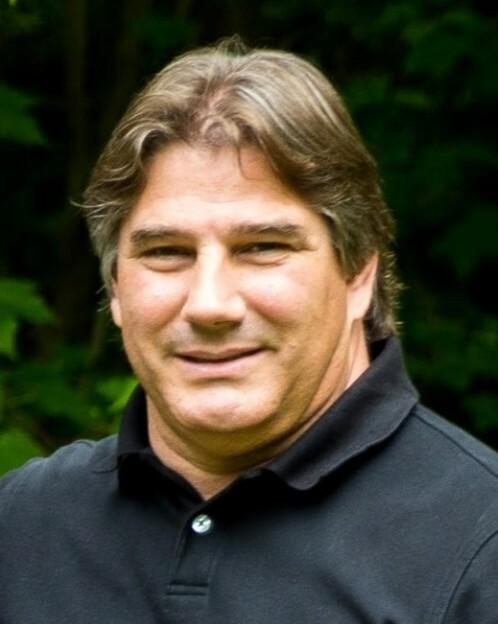 “Greg” Sacco, 53, passed away unexpectedly on Monday, November 5, 2018. He was the son of John and Phyllis (Whitehead) Sacco of Alexandria, NH. Greg was a lifelong resident of Andover and a graduate of Andover High School. Greg was a valued Sales Manager for EDM Distributors. He enjoyed golfing and was an avid sports fan. He was a fixture on the sidelines of all his boys sporting events. Greg was an amazing and dedicated father who adored his three sons, Jake, Austin, and Matthew. They were truly the light of his life. But more than anything, Greg loved being surrounded by his family and friends, most especially his wife, Leanne. A friend to literally everyone, he enjoyed sharing laughs and good times with each and every one of them. Greg’s smile was infectious and would light up any room. He was a selfless and devoted husband, son, brother and uncle who always placed family and friends above all else. The family respectfully requests that in lieu of flowers, those wishing to honor his memory make donations to the Sacco Children Education Fund at www.gofundme.com/in-memory-of-greg-sacco. Besides his parents, Gregory is survived by his beloved wife of twenty-eight years, Leanne (Murdock) Sacco of Andover; three sons, Jake Michael Sacco, Austin Gregory Sacco, and Matthew Steven Sacco all of Andover; siblings, Kim Aiello and her husband, Jack of Methuen, Paula Garon and her husband, Steve of Alexandria, NH, Scott Miller and his wife, Bonnie of Andover, and Mark Sacco of Londonderry. He also leaves many loving aunts, uncles, nieces, nephews, cousins and extended family. Relatives and friends are respectfully invited to attend visiting hours on Friday, November 9, 2018 from 4:00-8:00 PM and a special celebration of life is scheduled at 7:00 PM in the funeral home chapel.